Whatever your battery needs are, The Battery Sell Company is there, providing both the battery sales and ongoing services you require to make a confident purchase. We’ve been serving the needs of North American clients since the 1930s, giving us a unique perspective and expertise only time can provide. If your battery is losing power, give us a call right away to discuss replacement options so that we can minimize downtime or avoid it completely. 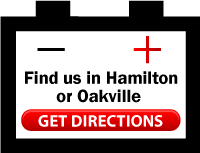 Or, repairs might be a solution—our experts can recommend the best option for your situation. 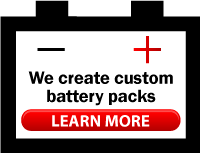 Explore our complete line of battery products and accessories. Need a non-standard solution? The Battery Sell Company creates both custom battery packs and custom cables. We can help you identify your needs and then respond with a solution that suits them perfectly. Limited delivery options are available for orders over $100. Please inquire with our office about this service.